Robert Winchester abruptly parts life as an investigative journalist in New York City with no firm plans for the future. After inheriting his uncle’s home in the North Florida backwoods he uncovers the dirty secrets of a drug ring, three ritualistic murders and a sheriff’s department plagued by corruption and links to a powerful drug syndicate. Its far reaching tentacles suffocate a poor rural community that can ill-afford its presence. Winchester delves into the unfathomable depths of poverty, the cruelty of dependence and a vicious crime circle. The action is fast paced and shocking when the former city newshound comes head-to-head with the murderous and manipulative Captain Cocaine and his corrupt lieutenant. 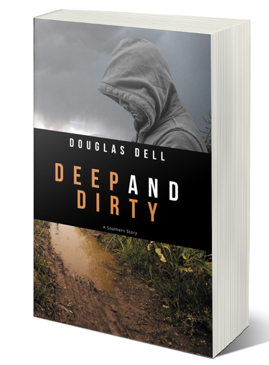 Douglas Dell spent four years in the Deep South uncovering the dirty secrets of a drug ring and its far reaching tentacles in a small rural community that could little afford its presence. Dell lives in Florida focusing on his writing of the Robert Winchester Series of books. Deep and Dirty is his first Novel. © 2019, DouglasDell.com. All Rights Reserved.